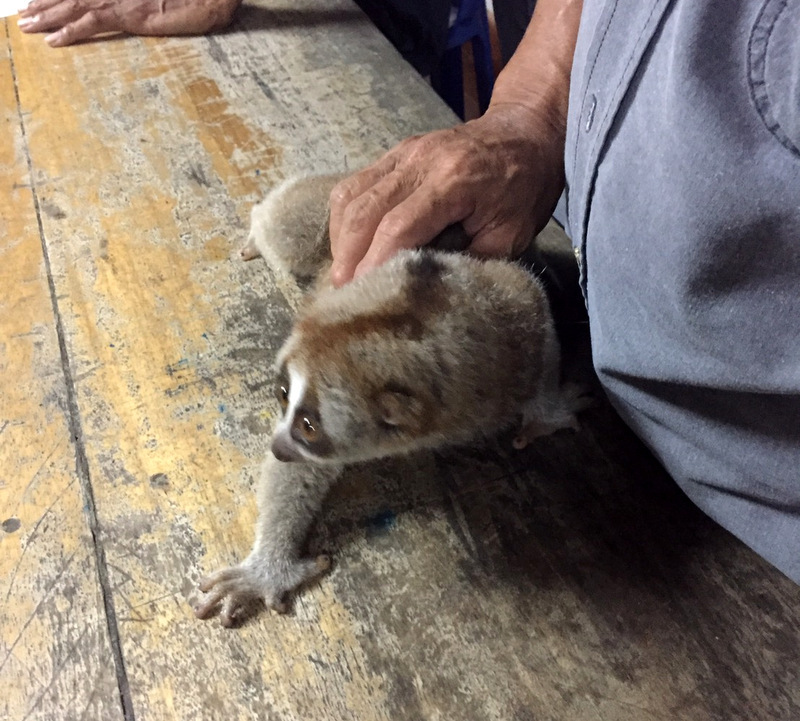 PHUKET: A slow loris tout who charged tourists in Kata to have their photo taken with the furry, nocturnal creature has been arrested, and released on bail the same night. 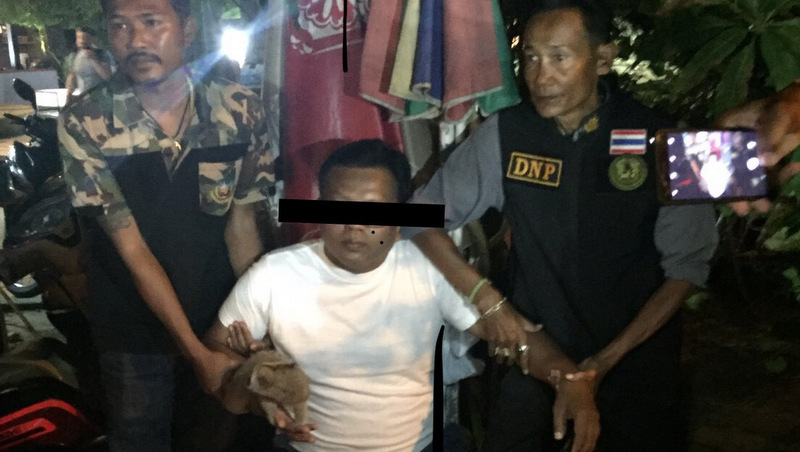 Piyawat Sukon, Chief of the Khao Phra Thaew Non-Hunting Area Conservation Centre in Thalang, told The Phuket News that wildlife officials along with officers from the Karon Police arrested Anurak Boonpu, 54, from Narathiwat, on Monday (Oct 29). “Anurak was arrested while touting the slow loris along the Kata beachfront at 8pm on Monday,” Mr Piyawat said. “We caught him through a tip-off given by a tourist,” he added. 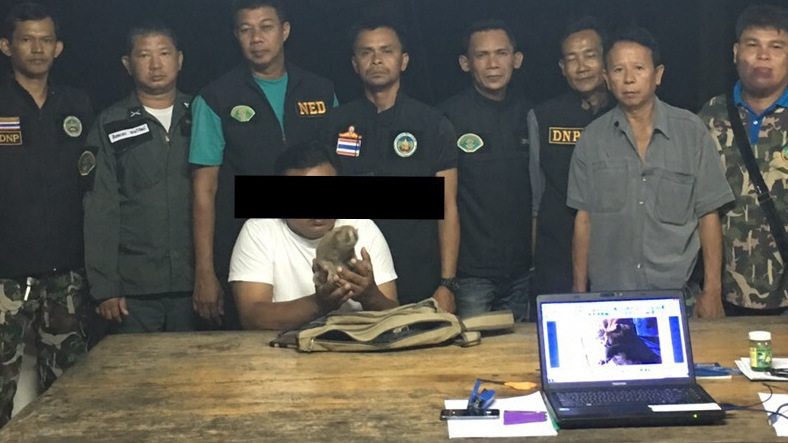 “He confessed that he had the slow loris for making his living and that he charged tourists B50 to B100 to have their photo taken (with the loris),” Mr Piyawat explained. Anurak was taken to Karon Police Station for questioning on Monday night, but Chief Piyawat today (Oct 31) explained that Mr Anurak also posted bail on Monday night. “The seized slow loris will be taken to Phang-Nga Wildlife Nursery Station where it will be rehabilitated,” he said. In their report, wildlife officials estimated that the slow loris was 18 months old. Mr Piyawat welcomed anyone to report sightings of illegal possession and mistreatment of wild animals directly to him on 089-8737749. “You can report these sightings to me directly. I speak basic English. If you are a foreigner, please speak simply and say what animal you saw, where, and when, and other important details,” he said. How much is the fine for animal touting? How much is the bail for such a pity person in such a illegal 'profession'? Put some signs up in several languages saying it's illegal to get your photo taken with wildlife. There is no excuse for any visitor to not already know how unethical this is, but go ahead and arrest them to remind them that they're accomplices to a crime against nature.